A chic silver tone case presents the delightful Celestial timepiece by Olivia Burton. Featuring a silver shade dial with rose gold tone hour indexes and a round date display at the 3-o-clock position. 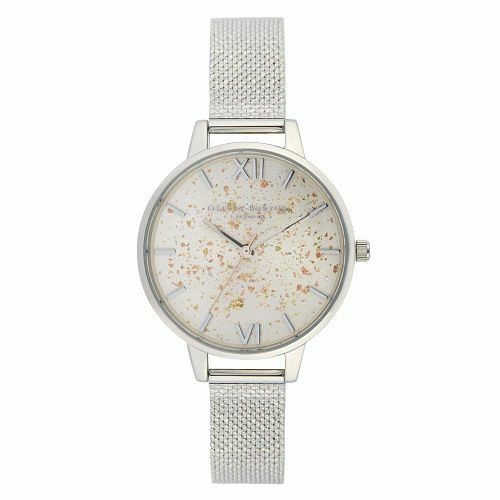 This attractive timepiece is completed with a stunning stainless steel mesh bracelet.